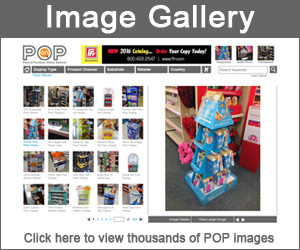 Popon is pleased to bring you our fourth installment of cool POP displays, trends and ideas. 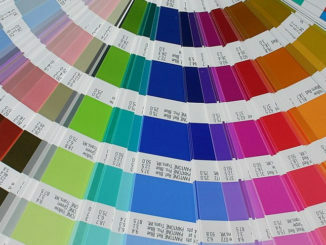 Our vigorous store checking schedule presents us with numerous neat examples of designers and brands coming together to deliver outstanding promotional materials that we felt needed to be shared with our audience of dedicated POP professionals. As always, if you are interested in showcasing some of your unique designs and applications, do not hesitate to contact us for more details. This past summer, Tic Tac sponsored a Getaway of a Lifetime sweepstakes that involved 6 Amazing grand prizes. 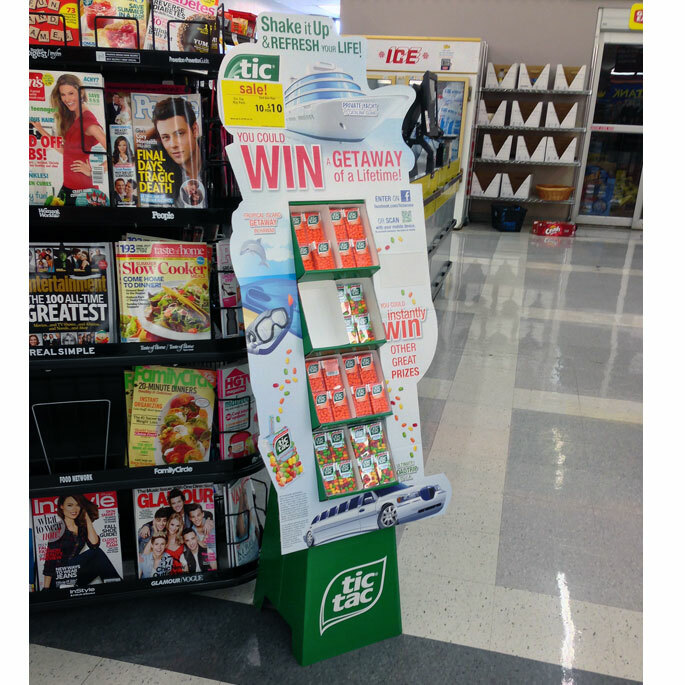 To promote the contest in-store, Tic Tac chose their stock retail display and dressed it up with a “gamey” graphic shroud. The die cut shroud was printed with several of the grand prize graphics as well as the Shake it Up tagline which resided at the top. The tagline is part of a new initiative by Tic Tac to create microgames that are accessible using an app which can be downloaded from their site. Shoppers interested in entering the contest were able to do so on facebook or scan their mobile device via the QR code that was printed onto the display. LEGO, LEGO, LEGO everywhere! 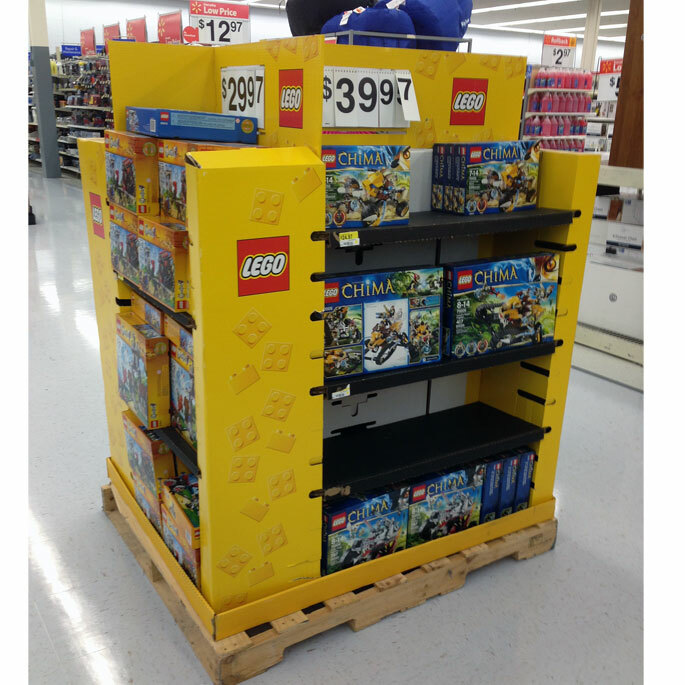 On a recent trip to Walmart, we came across a series of LEGO pallet displays that lined the aisle in the toy section. The thing that caught our attention were the vertical rows of die cut corner notches that enables LEGO to use one base display to planogram their complete line of products. 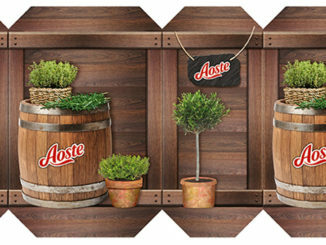 The die cuts are lightly notched in place and removed based upon product being displayed. This adjustable feature is a great way to maximize display dollars IF the components are ordered in large lots rather than a bunch of short runs. The downside (or is it) is that all of your displays look the same with the exception of custom header treatments. 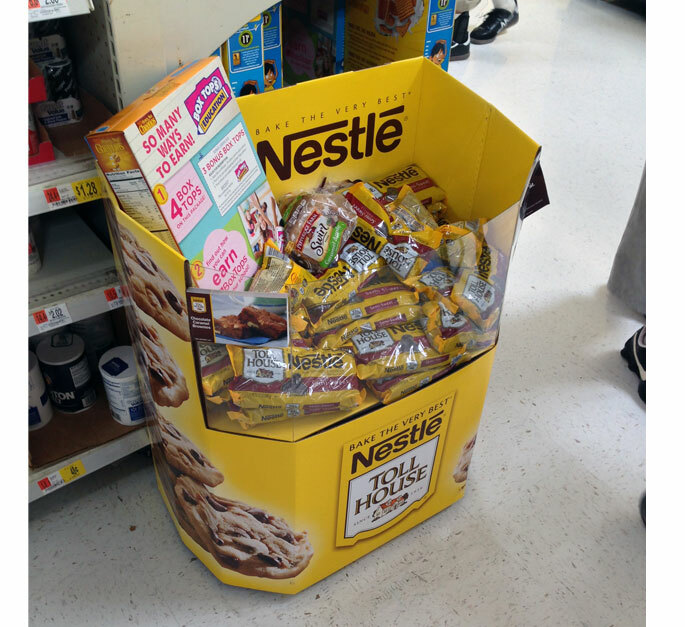 Continuing the tradition of providing enjoyable moments for families, Nestle is making a presence at-retail with this dump bin floor display. The reason this display made the cut for this edition was because of the clear plastic used to enable optimal product visibility. 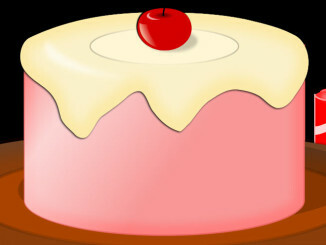 The plastic is super heavy-duty and able to withstand the weight of the product as well as shoppers reaching in to remove the tasty morsels. Graphically, brand assets adorn the front while yummy chocolate chip cookie graphics wrap around the sides and back panel. Two recipe tear-pads were adhered to the plastic, encouraging shoppers to tear and purchase. 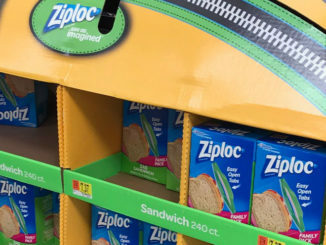 Another nice touch on this display is how the graphic designer took advantage of utilizing the rolled over back panel for additional branding…..always one of our faves! Looks like there are slots for a riser but not sure if it was part of this promotion. For those who never chewed it yet, Trident Layers is a soft gum with sugar-free flavored layers between two normal sized pieces of different flavors of Trident gum. To launch their new Grape Lemonade flavor, Trident has rolled out an updated look to their stock side kick display. 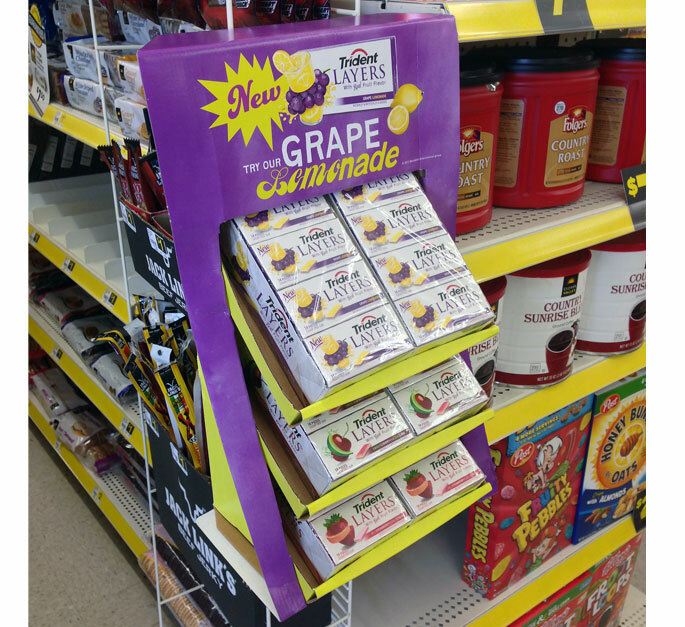 Fairly straight forward, fruit images on the riser, as well as yellow and purple base colors, were obvious choices to create a nice blend between product and POP. As reported by PRNewswire, Trident is continuing to push boundaries between traditional and social media with the groundbreaking launch of a :06 Vine TV spot to premier today on Fuse, the national music television network of The Madison Square Garden Company. The Vine TV spot revitalizes the brand’s iconic “Paid in Layers” campaign for a new generation. The original campaign which debuted in 2009, focused on the premise that Trident Layers are so delicious that people would accept them as a form of currency. 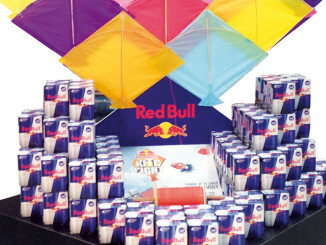 The brand has seen the theme continue to have tremendous consumer recall and engagement, even four years after its launch. Trident worked with Grape Story to carefully select Vine talents Nicholas Megalis and Rudy Mancuso, who can bring the “Paid in Layers” story to life in just 6 seconds, and resonate with the Millennial consumer. No branded displays here, just wanted to share with you these super realistic tree logs that we found at the debut of the first Field & Stream store launched in the US. 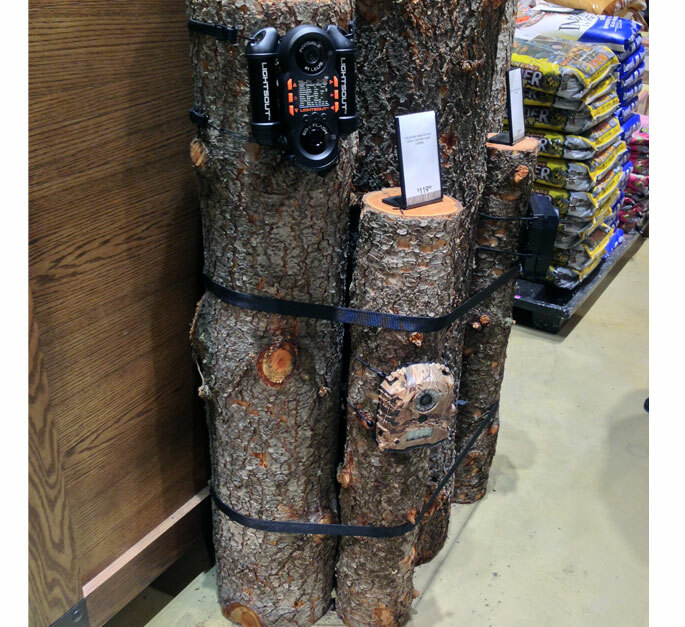 These logs could probably be used for several promotional purposes in-store but in the example shown above, they are appropriately displaying trail cameras which are used by outdoorsman to snap photos of critters in the wild. 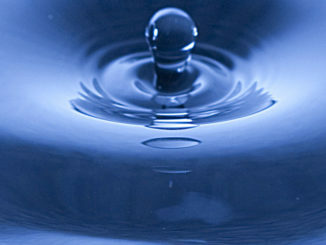 These “natural product replicas” certainly fooled us! On a recent trip to Walmart, we spotted an interesting design application for jewelry. 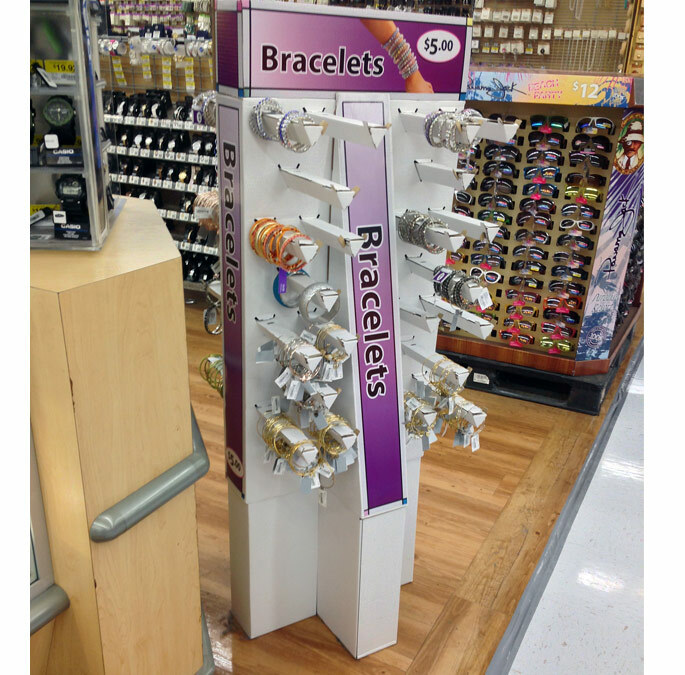 The designer of the floor display shown above took a clever approach to merchandising bracelets by using corrugate arms to hold the various products. Several triangular shaped die cut arms extending through the backer enabled shoppers to sort through the wide range of selections on display. These e-flute arms were actually quite sturdy. In addition to the cool corrugate arms, this display has some nice lines and shapes for what is considered low-cost costume jewelry. Also, the two-sided shopability creates a better presence in the jewelry section of the store.